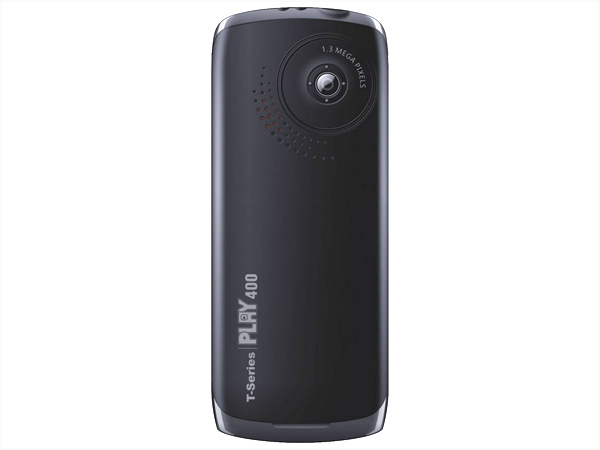 T-Series Play 400 is a slider Touch Screen phone packed with latest multimedia features and applications. Dig in further to read the review of this mobile phone and know about the latest features, specifications and also its price in India. T Series Play 400 is a stylishly designed slider Touch Screen phone integrated with latest multimedia features and applications. It is equipped with 2.2� inch TFT Touch Screen Display with smart navigation key and excellent light shuttle wheel support, 1.3 Mega Pixel Camera with Web Camera support, Expandable Memory supporting up to 4GB, Multi-Language support, MP3/MP4 Player, FM Radio with Recording, Voice Recording, Video Recorder, Currency Converter, Stop Watch, World Clock, Image Viewer, Embedded Games, GPRS, Bluetooth and WAP Browser. It includes Li-ion 1000mAh battery that offers incredible talk time up to 2-3 hours and standby time up to 3-4 days. The handset comes in a slider form factor measuring in a dimension of 102x52x14mm and operates at GSM 900/1800 MHz frequency.